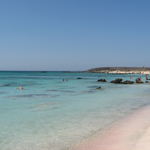 An isolated sandy beach that can be reached after a long (18km) trekking through Samaria Gorge or by boat. 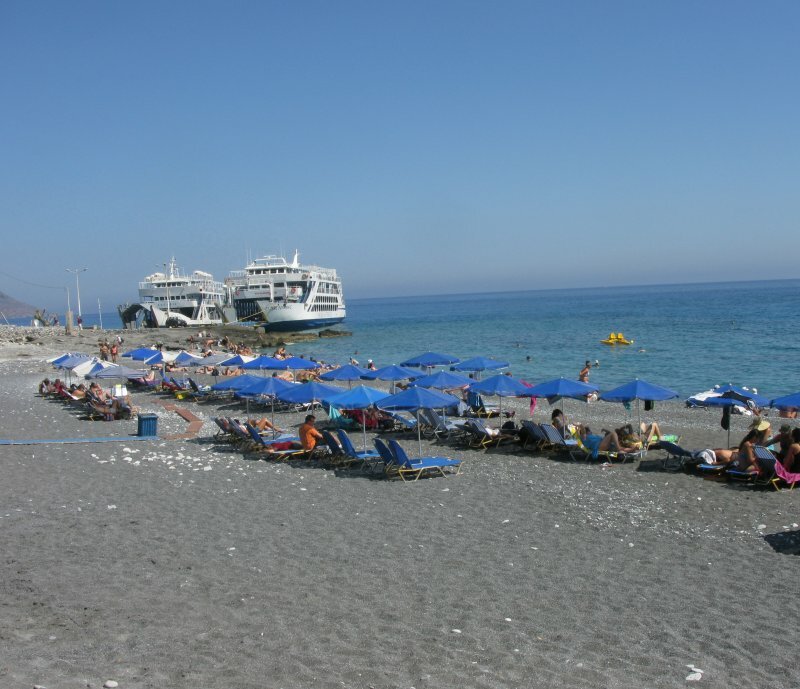 Agia Rumeli beach is at the exit of Samaria Gorge to the Libyan Sea. Here are many facilities for those wanting to relax before taking the ship back to Chora Sfakion, or Sougia-Palaiochora. 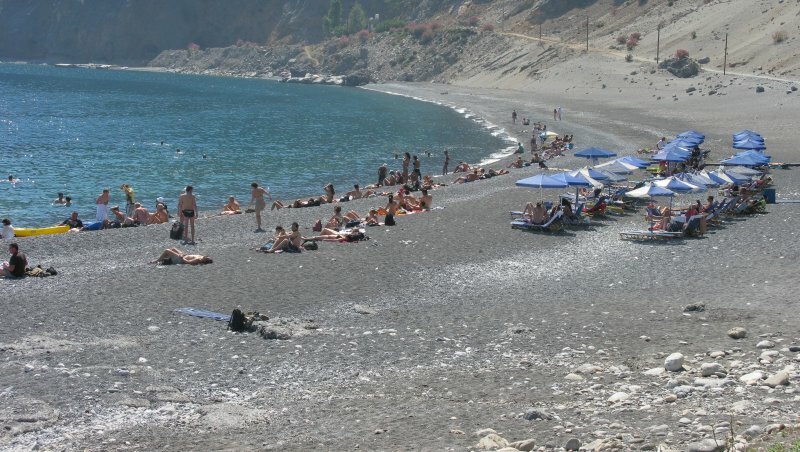 Mostly known as the exit from Samaria Gorge, this beach has all possible facilities and accommodation for the exhausted that exit the Gorge after a 6 hours walk. Live the experience of diving into such cool water after a long trekking. 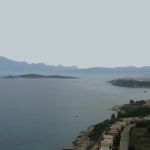 It can also be reached by boat from Palaiochora or from Chora Sfakion (more frequent schedule). 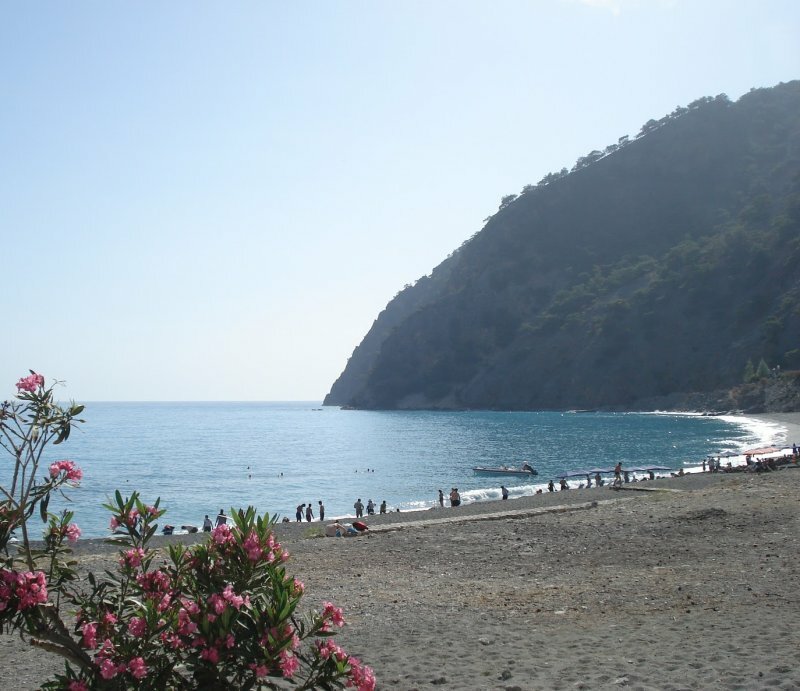 This beach has become the entry point of the lazy route in Samaria Gorge, for those who wish to walk only a small part of it. As there is no access to the area through a road, it remains extremely quiet in the evening, after the last ship departs.